Environmental Defense Fund (EDF) and Tyson Foods launched a partnership aiming to support Tyson’s sustainability strategy and help meet increasing consumer demand for “more sustainably grown” food. The partnership’s first project focuses on land stewardship and aims to pilot and scale agriculture practices on 202,000 hectares (500,000 acres) of maize in order to reduce greenhouse gas emissions (GHG), improve water quality and maximize farmer profitability. “If the largest U.S. food company can prove the viability of farming practices that are good for the planet and for profits, it would be a game changer,” says Jenny Ahlen, director of the EDF+Business supply chain program. Analyzing sustainability data on farmland, as part of Tyson’s land stewardship commitment. Publicly communicate progress and best practices that surface from pilot projects. 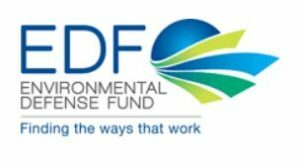 EDF adds that the partnership will help Tyson meet its land stewardship commitment of working with farmers to improve environmental practices across 810,000 hectares (two million acres) of maize production by 2020. The pilot project will use cloud-based agricultural technologies from MyFarms and Farmers Business Network (FBN). The U.S. Sustainability Alliance is a diverse range of U.S. organizations linked by our individual accomplishments in growing, harvesting and producing across U.S. agriculture, forestry and fisheries through our long history of conservation stewardship. Sustainability is not measured by an arbitrary threshold; it requires a commitment to innovation and continuous improvement. Contact us to provide feedback or for more information. © 2019 The U.S. Sustainability Alliance. Permission to reprint information in whole or in part contained on this website is granted, provided customary credit is given.